Will the next Conservative Government face tougher challenges than Margaret Thatcher did in 1979? Many superlatives are regularly being used when considering the sheer scale of the economic challenges which an incoming government led by David Cameron is likely to face next year. And this is no surprise, given the speed at which the economy is currently shrinking as unemployment and borrowing are rising. But how will the scale of the task facing David Cameron compare with that taken on by Margaret Thatcher, elected as she was thirty years ago next week? The former Chancellor, Lord Lawson, puts a rather positive spin on it for Mr Cameron in an essay he has written for the new edition of Standpoint - you can now read the full article here. Yes, we are suffering from the worst recession since the Second World War, but recessions pass, he writes; and he adds that despite the parlous state of the public finances, the underlying structural deficit is not much worse than that of three decades ago. So whilst accepting that the Conservatives are likely to face "a singularly unattractive inheritance", he insists that "the problems of 2010, although considerable, pale into insignificance compared with those of 1979". (1) The media have decided that the Conservatives have won the next election. There has long been an expectation of Tory victory but it's become a near certainty because of recent events (particularly the Budget and misuse of expenses). One BBC journalist told me that his colleagues and editors were now more interested in an announcement from George Osborne than from Alistair Darling. Yesterday's announcement on primary school academies from Michael Gove led bulletins throughout the day. Tory policy matters because the media class has decided that it will be Government policy in a year's time. (2) The Tories have decided that Labour has reached the contempt phase. William Hague predicted in 1997 that New Labour would first produce fascination among voters, then disillusionment, and then contempt. It's taken longer than he perhaps hoped but yesterday the Shadow Foreign Secretary launched a no holds barred attack on the "decomposing political muckheap" that is Labour's frontbench. He described Labour as the "disgustingly grubbiest" of all administrations of the modern era. Strong stuff and it wouldn't have been issued if CCHQ wasn't confident that the public is now contemptuous of Brown. William Hague is pictured with our Cheltenham PPC, Mark Coote. (3) David Cameron is oozing confidence. The Tory leader is a confident man who has a realistic expectation that he will be Prime Minister in a year's time. It was obvious from his powerfully delivered speech and also obvious from two brief chats I had with him earlier today. He is fully aware that with the expectation of a Tory victory he, his team and his manifesto are about to face unprecendented scrutiny. A media class that gave Tony Blair an easy ride will not give an easy ride to the Conservatives. David Cameron is pictured with the Liberal Democrat PPC who defected yesterday. (4) The media are attempting to set up a Boris V Cameron split. Saturday's Times suggested that Boris "despises" Cameron. Interviewed by ConHome yesterday the Mayor of London dismissed the story as "tripe" and "fantastic". He also said that it was "almost certain" that being Mayor would be his last big job in politics but not one journalist in Cheltenham believes that Boris has given up his ambition to follow David Cameron into Downing Street. The Boris story is going to run and run. (5) David Cameron and George Osborne say they want a mandate for specific spending cuts. David Cameron said that ministers will be promoted according to their success at using new technology and decentralisation to deliver more on smaller budgets. And, nearer the time of the election, they will spell out the specific nature of planned spending cuts. ConservativeHome Comment: It is still far from clear to me whether those cuts will be just enough to move Britain away from the cliff (and the next Conservative government will be about managing relative decline) or whether they'll be big enough to start to restore Britain's 1997 status as the enterprise capital of Europe. (6) The next Conservative government will probably raise taxes. That has to be the conclusion from David Cameron's address to Spring Forum. He said (my emphasis): "Fifteen years ago, I was in the Treasury as we had to deal with public finances that had got out of control; debt that had got too high. We had to put up taxes, and I hated it. But it was the right thing to do and that lesson has stayed with me." (7) Philip Hammond is a rising star. His steady rise in the ConHome league table captures the increasingly high regard that grassroots members have for the Shadow Chief Secretary to the Treasury. A safe, intelligent and hardworking frontbencher, George Osborne said that Mr Hammond would be "one of the most powerful members of the government." (8) Spring Forum needs to be better organised. The Saturday agenda was very thin - rescued by strong speeches from Boris Johnson to all representatives and from William Hague to candidates. Two half hour sessions from Andrew Lansley and Michael Gove were closed to the media (except to ConHome!!) and put in such a small room that many conference attendees couldn't even get in. The party needs to decide whether it wants a two day conference or a one day rally (although it must always be addressed by Dan Hannan). Spring Forum fell between the two possibilities this weekend. (9) Jeremy Middleton will be a great representative of the grassroots. I backed him and am therefore biased but the grassroots have a new Chairman of the National Convention who believes in members' democratic rights and is a believer in the internet's transformational power. Commiserations to the other candidates for the job and the party owes the now retired Don Porter enormous thanks for all his years of service to the Conservative Party. (10) The new generation of Conservative candidates is impressive. I hesitate to name too many names but the more I see our candidates the more I'm hopeful about the next Conservative government. Andrea Leadsom, Harriett Baldwin, Charlie Elphicke and so many others I caught up with in Cheltenham are going to make us proud. Labour has run out of ideas: "They have run out of ideas. The economy is on its knees, enterprise is suffocated, we’re falling behind in the race to the future. And what is there proposal? A return to the 1970s with a 50% top rate of tax. With the dishonesty of trying to present a £2 billion tax rise on the wealthy as the answer to a £200 billion borrowing requirement. So out goes all that New Labour talk of ‘aspiration’ and ‘opportunity’ and owning the centre ground. In comes all that Old Labour language of ‘soak the rich’ and ‘make the pips squeak’. We will look back at this time and realise that we were hearing the last, sour notes of a requiem mass. New Labour. Born 1994. Died April 22nd 2009. Private funeral. Don’t send flowers." Labour have taxed dishonestly: "Our priority must be to stop the tax rises on the many not just the few. Perhaps we should not be surprised that the great New Labour experiment ended like this. It was always built on an economic lie. The lie that you could go on increasing spending faster than your economy was growing, and never have to pay for it. At first, they promised there would be ‘no tax increases at all’. Then they turned to stealth taxes, like the tax raid that did so much damage to pensions. After that they tried stealth spending through PFI. And still it was not enough. So they sold our gold at a record low, and then they started to borrow when our economy was on a high. They borrowed and they borrowed, and they never stopped. They should have fixed the roof while the sun was shining. Instead they stored up debts that will take a generation to pay off." Conservatives were right on the fiscal stimulus: "Last autumn, I stood before you at our Party Conference and I told you that the cupboard was bare. It’s worse than I thought. The cupboard itself is about to taken away by the bailiffs. The public finances are out of control and that presents a clear and present danger to the prosperity of an entire generation. We must act and act fast. We need a government of thrift in this age of austerity. David Cameron and I have earned the right to be heard on this. It wasn’t easy standing up and telling the public that the country could not afford Labour’s temporary VAT cut, but we did it and we did it almost alone. And it wasn’t easy standing up and telling some people in this party that sound money is the only route to real tax cuts – but we did that too." Philip Hammond will be one of the most powerful members of a Cameron government: "Gordon Brown downgraded the job of Chief Secretary and removed from his Cabinet colleagues their right to be involved in the overall spending decisions of government. I want our Chief Secretary, Philip Hammond, the star of this week’s Question Time, to be one of the most powerful members of the government. I want my colleagues in Cabinet to be collectively responsible for the spending decisions we take. They won’t be the representatives of their departments in the Cabinet, they will be the representatives of the Cabinet in their departments." Yesterday's ConHome survey of members found Philip Hammond rising steadily up the shadow cabinet league table. Conservatives will be more specific about how we'll fix things but only when the time is right: "given how dramatically the borrowing forecasts have deteriorated and how fast this last Budget has unraveled, I ask how sensible would it be to write that 2010 Budget now? Yes, we will give specifics. Yes, we will seek a mandate. But we will take our time and get it right – because we can see today with this government what happens when you get it wrong." Priority one: Repairing the public finances by focusing on reducing spending. Tax rises should not even be contemplated until possibilities for reductions in the size of the state have been exhausted. Priority two: Defending the wealth creators. Without growth we are never going to get out of Labour's mess. We need to make it clear to every investor and entrepreneur - at home and abroad - that a Conservative government will create an economic climate that rewards risk, innovation and effort. Priority three: Measures to advance social justice. Not the big state schemes favoured by Labour but the pro-society compassion of the Centre for Social Justice. If there is to any new or protected public expenditure it should be the budgets that build family, the voluntary sector and Michael Gove's schools revolution. I've developed these themes in an 800 word piece for Comment is free. D is for debt. Britain is drowning in Brown's borrowings. As the BBC's Robert Peston said, this was a truly historic budget. Historic because debt of £200bn per year will handicap Britain for a generation. The causes are many... A failure to put money aside in the good times... A banking system that lost all sense of prudence during a state-sponsored credit boom... A collapse of British society that has produced a dependent and dysfunctional population and cries out for David Cameron's social reform agenda. Crisis is an over-used and exhausted word but today's level of debt is a crisis that places Britain in the global slow lane for many years to come. E is for envy. The 50p tax band won't raise much money. It may not raise any. But it sends the message to wealth creators that their efforts to innovate and create jobs are going to be penalised. Higher rate earners are being pursued in a cynical bid to please the core Labour Party vote and to caricature the Conservatives as friends of the rich. The Conservatives must not allow Labour to move Britain any further towards the statist Left. It must defend wealth creators and say that it will not accept tax rises that damage the prospects for economic recovery. The Tories' acquiescence on 45p invited today's move. In Cheltenham at the weekend I hope George Osborne and David Cameron will oppose this return to economically destructive levels of taxation. A is for all gone. At an end. Bare. Consumed. Done. Drained. Empty. Finished. Spent. Squandered. Void. Washed-out. Wasted. Yep, I've swallowed a Thesaurus. But it's obvious that Labour has no solutions to the economic mess that the Brown-Blair years have produced. Labour has ruined the British economy again and yet again the Conservatives will need to put things right. The years from 2010 to 2013 are going to be at least as painful as 1979 to 1982. D is for dishonesty. When Alistair Darling told us last year that the economy would be growing again by the end of this year it was a lie. His economic forecasts weren't worth the paper they were written on. The signs of dishonesty and deception were there from the very first days of Labour. Brown's budgets always trumpeted the good news and hid the stealth taxes within the footnotes. The Sun and The Daily Mail gave those early budgets very warm welcomes. I hope they'll hammer Brown and Darling tomorrow. It was a real tour de force from David Cameron, who gave it both barrels at the Government, and the snippets below cannot do his rhetoric justice. The one question which David Cameron now has to answer, however, is whether the Conservatives will go along with the proposed 50p top rate of tax the Government has now proposed. 1.36pm David Cameron sits down. 1.35pm All Labour Governments run out of money... what is the point of having another 14 months of this Government of the living dead? 1.34pm The Budget included "a few clever political taxes on the rich before the election". 1.33pm This Budget was a missed opportunity. Where was the plan to end tripartite regulation of the banks for example? 1.32pm Darling used to say 8% borrowing would have been out of control. What does that make 11.9%? No country is borrowing more than we are. 1.31pm Where are the various government schemes announced? No homeowner has received a penny under one scheme announced last year. Some grim figures just released on unemployment: it has risen 177,000 in the three months to February to reach 2.1 million. Another figure released this Budget Day morning is public sector net borrowing, which reached £90 billion in the last financial year. All will doubtless be raised in the Commons later. “No amount of Labour spin can cover up the fact this government closed a job centre every week in 2008 while unemployment was rising; no amount of Labour spin can hide the fact that this government is cutting help for the long term unemployed this summer; no amount of Labour spin cover up that this is a government that won't allow many people to retrain until after 18 months of being on job seekers allowance." Former Bank of England Governor Eddie George has died. "I was very sad to hear of the death of Lord George. Eddie George was an exceptionally distinguished Governor of the Bank of England over a long period. He was a fine public servant of great decency, and a source of wise advice on the current economic crisis on the occasions I have seen him - including at a 70th birthday lunch not very long ago. I pass on my condolences to his wife and family." I worked at the Bank of England from 1992 to 1998. 'Steady Eddie' was hugely respected throughout the Bank. He was very proud to have been Governor when the Bank won independence over interest rate policy but I remember his face at an extraordinary meeting of all staff in 1997 when he told us about the formation of the FSA and the loss of the Bank's supervisory functions. No negative words passed his lips but his face was a picture of anger. May his family know peace at this time. Speaking at the Green Building Council this morning, the George Osborne has called on the Government to adopt ten “green” policies in next week’s budget which would make Britain's economy "greener and more productive". Fit every home with up to £6,500 of energy efficiency improvements, with the cost being repaid through savings in fuel bills, delivering immediate reductions in gas and electricity bills of around £160 per year for families across the country. Use part of the receipts from the EU Emissions trading Scheme to fund the installation of Carbon Capture and Storage equipment and pipeline networks for at least 5GW of new coal-fired power plant. Bring forward the roll out of innovative new technology smart meters into every home to give homes and businesses more control over their energy consumption and help reduce bills. In another sign that the Conservative leadership is preparing itself (the public are already ready) for a change of policy on public spending George Osborne has just told a meeting of the Royal Society of Arts that "the politics of prosperity is giving way to the politics of austerity." Expect to hear that "austerity" word on Tory politicians' lips a lot from now on. "Despite the scale and severity of this crisis, the economic contraction taking place will not undo the awe inspiring increases in living standards that open markets have facilitated in much of the world over the last thirty years. China’s market reforms that began in the early 1980s and India’s opening to trade at the beginning of the 1990s have done more to raise the living standards of more people than any other government policy in the history of the world." "We are a Conservative Party not a libertarian party. As both I and David Cameron have argued, Conservatives have always understood the limitations of free markets on their own. We understand that unless markets are embedded in strong institutions, laws and cultural norms they can become free-for-alls that are prone to instability and end up benefiting the powerful at the expense of the needy. Indeed, many of the problems we face today have been exacerbated by the weakening of many of those institutions – not least the Bank of England." Good stuff but on the 45p tax band, the anti-Tesco nonsenses of Red Toryism and loading business with expensive ideas of corporate responsibility Tory policy sends out confusing signals. Listening to this morning's Today programme you might think that Gordon Brown had saved the world. It's true that the G20 summit went better than many pundits had expected and it would be churlish to say that Brown didn't perform well. The summit went well as an event and Brown was a beneficiary of the glow that still surrounds America's very popular new President. I suspect that the Prime Minister will get an immediate boost in the opinion polls. We'll know within days because there will be a YouGov survey for Sunday and a Populus poll in next week's Times. But Peter Riddell is surely right to say that the G20 will not have a lasting effect. "There is no evidence that past summits have made any real difference domestically," he writes in this morning's Times. There will be much more voter interest in Alistair Darling's budget - now just three weeks away. "The question that the British people will ask tonight is what it all means for them, once the world leaders have left. There is still the small business that cannot get credit. There is still the mother working in the high street shop who fears for her job. There is still the family who fear for their home. The G20 will seem very remote for them. No $1 trillion boost for the IMF and trade finance will help us to deal with a £1 trillion national debt, which we are leaving to our children, thanks to this Government. The truth is that Britain will be clearing up the economic mess created by this Government long after the G20 show leaves town." Senior members of the Opposition do not demand resignations of Government ministers lightly. You generally need to wait until you know that the individual is skewered and then go for the kill. Former shadow home secretary David Davis is a past master at the art. And this afternoon, George Osborne has opted to turn the screw on Lord Myners, the Treasury minister who has previously claimed to Parliament (in the House of Lords and through evidence to the Treasury select committee) that he did not know about the details of Sir Fred Goodwin's RBS pension. Yet today Sir Tom McKillop, the former RBS chairman, has written this letter to the Treasury select committee in which he asserts that Lord Myners had not "accurately represented" what he knew. The senior Tory on the committee, Michael Fallon, has already said today that "the decent thing" for Lord Myners to do would be to resign. And George Osborne now senses blood. "...unless Lord Myners can, by the end of the day, prove that what he told the Treasury Select Committee was true, he has to resign". That hardly amounts to the "full confidence" a Downing Street spokesman said that the Prime Minister had in Lord Myners at the end of February. David Cameron has stated in this morning's Daily Telegraph that Bank of England's Governor Mervyn King's warning about the country's inability to afford another fiscal stimulus has "vindicated the argument of the Conservative Party that the priority must be tackling debt". The Tory leader re-iterates that it was right of the party to oppose last autumn's VAT cut and goes on to outline the moral, economic and political cases for fiscal responsibility. The moral case: "Fiscal responsibility is morally right because it's wrong to live like there's no tomorrow and burden future generations with our debts." The economic case: "It is economically right too. The conventional wisdom is that in a recession governments have to step in to stimulate the economy. That might be right for countries that built up surpluses when times were good. But that argument gets turned on its head when the government is already living way beyond its means as in the UK. In these circumstances, a further fiscal stimulus will do the opposite of what Gordon Brown claims. Instead of making things better, it will make things worse – undermining confidence with the certainty of higher taxes and the risk of higher interest rates. The political case: "Fiscal responsibility is right politically too because it's a vital part of our belief in personal and social responsibility. We're never going to build the kind of country where people save for their future if people see a Government that throws responsibility to the wind. The only way to restore confidence in our economy is to set out a credible strategy for living within our means." George Osborne declares Mervyn King's opposition to a further fiscal stimulus as a "defining moment"
The Governor of the Bank of England, Mervyn King, appeared before the Treasury Select Committee today and made comments expressing his opposition to a further fiscal stimulus. "There is no doubt that we are facing very large fiscal deficits over the next two to three years... I think it's right to accept that when the economy turns down and the automatic stabilisers kick in, so the increased benefit expenditures and lower tax revenues are bound to lead to higher fiscal deficits. And it doesn’t make sense to try and offset that. "So we are going to have to accept, for the next two to three years, very large fiscal deficits. But given how big those deficits are, I think it would be sensible to be cautious about going further in using discretionary measures to expand the size of those deficits. That’s not to rule out targeted and selected measures that may find those areas, whether it’s in the labour market, whether its in corporate credit, that can do some good. "But I think the fiscal position in the UK is not one where we could say, well, why don’t we just engage in another significant round of fiscal expansion. We could do more monetary easing if necessary, but monetary policy should bear the brunt of dealing with the ups and downs of the economy." “This is a defining moment in the political argument on the recession. The big debate in British politics about the recession has been whether or not the country could afford a debt-funded fiscal stimulus... The Governor of the Bank of England no less has said Britain cannot afford a further fiscal stimulus. He goes on to say that monetary policy should be the main tool to tackle the recession. George Osborne is right to highlight this: despite the Prime Minister's rhetoric, it is he who is increasingly isolated on this issue. David Cameron has spoken this morning at a conference at the London Stock Exchange on "the Regulation of Capitalism in the Post Bureaucratic Age". The latest in a series of speeches on economic policy, it follows on from his significant speech in Birmingham ten days ago in which he admitted the Conservatives had been slow to criticise the burgeoning levels of debt. In today's speech, he says that the Conservatives want to bring "law and order" to the financial markets and a sense of social responsibility to the City. "People don't want to abandon markets, they want us to reform markets so they work properly. "What they want is a sense of order and social responsibility brought to the operation of the financial markets. And that is a task for the modern Conservative Party. "We are the party of law and order. So we are the party to bring law and order to the financial markets. We are the party of social responsibility. So we are the party to bring social responsibility to the financial markets. "For too long, our market has been governed by the destructive idea that you can take what you get, however you can get it. We need to change the culture in the City so people understand they don't just have a responsibility to themselves - but to society too." As we noted yesterday morning, Boris Johnson was the first senior Tory to express public doubts about what appears to be the Conservative Party's acceptance of Labour's planned 45p top rate of tax. And last night we highlighted the interventions of four leading centre right commentators, all of whom were equally sceptical about the move. This morning, we can add Lord Tebbit's name to the tally of those criticising the position as currently articulated by George Osborne. The former Conservative Party chairman has told the Mail on Sunday that talking about increasing income tax risks alienating Tory voters - and that the policy priority should be to cut public spending. "The Tories have to ask themselves this question: who is going to be enthused to vote for them by promises of higher taxation?" "Like any family that gets into debt, the only way to put things right is to get a firm grip on expenditure. The Conservatives and Labour seem to be saying that the easier option for them both is to put up taxes rather than risk upsetting some of the public-sector clients who live on the taxpayers’ back." ConservativeHome's doubts about the party's position on the matter are already on the record. He didn't make precise commitments on public spending and the speech didn't get live coverage on BBC News or Sky - not even a mention in the midday bulletins on a heavy news day - but Cameron returned to the venue where he launched his leadership bid to set out the "route to recovery" for Britain's public finances. I think it may turn out to be a very important speech. "Whether in the private sector or the public sector, the absolute priority is to make sure that we get maximum out from what is put in – that we get more for less. So we see the public sector as a productive ally in economic recovery, not some kind of economic parasite draining our hard-earned resources away. But we also expect the public sector to play its part - by helping deliver more for less." He used the same three words twice - "more for less". Apparently he used those words at Monday's press conference too but the headlines were stolen by the BBC announcement. "More for less" opens the way for the spending economies that are necessary to restore fiscal health. As Andrew Haldenby of Reform said during questions, this need not be a bad thing. There is huge scope to use this crisis to produce a more effective public sector. David Cameron agreed and said that he wanted to empower public sector workers to help find the economies. "Unemployment doubled last year in Brighton, Burton, Corby, Crawley, Redditch, Swindon and Tamworth — all Tory target seats. If anger at joblessness translates into anger at the government, then Labour is facing wipeout in the south. ‘We will say in these places: we warned you that Labour cannot be trusted,’ says one shadow Cabinet member. ‘They will be feeling especially betrayed.’ Unlike the unemployment of the 1980s, this is a white-collar recession whose pain is concentrated most acutely on the battleground seats." We are definitely now in the 'pain stage' of Mark Field MP's stages of recession (click on graphic to enlarge). It's certainly true that the Conservative Party must work for every vote at the next election but the news is going to keep getting worse for Labour. Anger is coming. PS At 11am today David Cameron is giving another speech. This time on his approach to tackling Labour's debt crisis. I'm told that there'll not be much in the way of specifics but a clear statement of direction of travel. Full coverage by lunchtime. Andrew Lilico has just posted a farewell message on CentreRight. Andrew has been our most prolific contributor and will leave a big hole. He's stopping blogging on ConHome because he has been appointed as Chief Economist at Policy Exchange. It's a big appointment by Neil O'Brien and Charles Moore. PX have been forced to make some staff redundant in recent weeks and so finding the budget for Andrew demonstrates a seriousness about regearing their work in the gloomy economic environment. Andrew will continue part time at Europe Economics and will bring to PX the deep economic analysis that has characterised his CentreRight posts. His appointment also confirms Policy Exchange's increasing determination to assert its independence. Andrew has been a critic of some aspects of Tory economic policy - including on spending and bailouts. I look forward to seeing that independence of mind in PX output. On a personal note I'd like to pay tribute to a man who has become a friend in recent times. He may be known as a chief economist - professionally and through his membership of the Shadow Monetary Policy Committee - but he's also a philosopher (he does, after all, have first and Masters (distinction) degrees in philosophy) and an Anglican Christian. His beliefs in tolerance (not universal acceptance), in compassion, that people are sinful, that perfectionism is hubris, but that repentance and reform are possible (no-one is beyond salvation) will, I hope, also find room for expression at Policy Exchange. > ConHome's recent overview of the centre right think tanks' work on the recession. David Cameron will tonight make his first set piece speech since returning from his compassionate leave, to the British Chamber of Commerce in Birmingham. "The unsustainable debts in our banks are a reflection of unsustainable debts in our households, our companies and our government. But if I’m honest, I have to admit that we – the Conservative Party – didn’t see this as early as we could have. I believe we were - and still are - right to focus on fixing our broken society… because unless we get to grips with educational failure, welfare dependency and family breakdown, then not just our quality of life but our standard of living will always be poorer than it could be… as we pay, through higher taxes and bigger government, the costs of social failure. "I believe we were right, as we did back in 2006, to warn about rising levels of personal debt. And I believe we were right, as we did at the last election and through to today, to consistently warn about the scale of the Government debt crisis. But do I believe we did enough to warn about the rising levels of corporate debt, banking debt and borrowing from abroad? No. And there are other areas of economic policy where I look back now and think we would have done it differently if we had the time again. For example, while we warned that it was wrong and complacent to claim that boom and bust had been abolished… we based our plans on the hope that economic growth would continue. George Osborne has this morning taken delivery of Sir James Sassoon's interim report into the tripartite structure of financial regulation in this country - which the shadow chancellor commissioned last autumn. Sir James was formerly Alistair Darling's envoy to the City and was appointed to David Cameron's Economic Recovery Committee last month. He says that it is clear that "fundamental reform" is needed and hopes that his report will kick-start a debate on what those reforms should be. He notes that such debates are already taking place in other countries by that "the UK the authorities have not yet engaged with many of the crucial questions." There should be Increased capabilities for safeguarding financial stability in all the authorities, plus a closer relationship between the authorities to ensure better crisis handling. "The current tripartite structure failed to protect Britain's economy from over indebtedness, a banking crisis, and ultimately recession. The regime needs a radical overhaul, and this report sets out the options that we need to consider. "Last Friday's 'uncomfortable truths' speech by Shadow Chancellor George Osborne was a minor break-through. But the rhetoric is still too feeble and explicit policies barely exist"
That is the pretty damning viewpoint of Liam Halligan in an article about Tory economic strategy in this morning's Sunday Telegraph. "For months, HM Opposition has remained tight-lipped about what it would actually do to escape this crisis, content just to throw darts at Labour and score political points. The Tory High Command knows if they say nothing specific, and offend no-one, they'll win the next election, so sick is the public of Labour and, in particular, Gordon Brown. As a political strategy, that's difficult to fault. If their sole objective is to become Chancellor and become Prime Minister, that's what Messrs Osborne and Cameron should do. But they need to raise their sights and vow to enter office not by default, but having built a stock of genuine credibility with both financial markets and the public. At the moment, that's not happening – which is a disaster, as the next Government will need credibility in spades to even begin the task of rescuing the UK economy." In defence of the Tory frontbench, the extent of the economic mess which needs to be sorted out will not be clear until day one of a Cameron Government when George Osborne is given the key to 11 Downing Street and he gets to look at the books for himself. The Government's predictions of where we're at have been hugely optimistic and we can expect to see Alistair Darling having to revise all his forecasts in the Budget at the end of next month. So, another day, and another bailout. The Government now owns a majority share in the Lloyds Banking Group, controlling 65%, up from 43%, meaning that the taxpayer will now be insuring toxic loans worth £260 billion. "This massive second bail out is proof that Gordon Brown's first bail out failed, and the real test of it will be if credit starts flowing again in our economy. It is also clear that the takeover of HBOS, which the Prime Minister helped orchestrate, is responsible for dragging Lloyds into majority public ownership." “For the size of the British economy we have now spent more than any other country on bailing out our banks and there’s precious little to show for it. If this second bail out of Lloyds is going to be any more successful that the first, then we have to see credit flowing in our economy again and that will be the real test. "We need to control the risks, sell the foreign assets, wind up the casino banks within these banks, take the losses and create a more stable and smaller footing from which they can trade sensibly. Doing it Mr Brown’s way means the taxpayer has to foot the bill. What have we done to deserve such brutal treatment? We need the government to get a grip on these wayward banks. They do indeed need to be “cleaned up” and cleared out”. So why is there no statement of how this will be done, how much it will cost, how long it will take and when it will start? Why can’t public and Parliament see the business plan, as we are paying dearly for it." 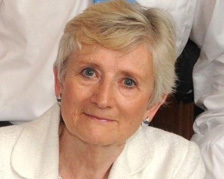 Shadow Security Minister Dame Pauline Neville-Jones is, according to the monthly ConservativeHome survey of grassroots members, the most popular female member of the shadow cabinet. Elevated to the Lords at the same time as Sayeeda Warsi she has been working away at developing a coherent Conservative security policy – taking a tough line on domestic extremism and developing a global perspective on threats and opportunities. Although, by many accounts, she has struggled to adapt to the political cut-and-thrust she is set to be a very authoritative minister. Earlier this week she delivered a speech to the World Islamic Economic Forum in Jakarta. Key extracts are published below. Labour have been lazily attacking the Conservatives as the "do nothing" party in regard to dealing with the country's financial crisis. Today saw another promise of action from the Conservative frontbench in the form of a practical measure which could be implemented specifically to help small businesses. Shadow Communities and Local Government secretary, Caroline Spelman, has pledged to ensure that small business rate relief (which was introduced in 2005 to allow small businesses to claim a discount of up to 50% on business rates) be applied automatcially to firms in England - as has been the case in Wales since 2007. Her pledge was made to support Tory backbencher Peter Luff's Private Member's Bill which would legislate for the proposal, thereby saving huge amounts of time and bureaucracy involved in filling in the forms to claim the relief. In some regions of the country, more than two thirds of eligible businesses have not been claiming what they were due.